The Atlantic Meridional Overturning Circulation (AMOC) transports a large amount of heat to northern high latitudes, playing an important role in the global climate change. Investigation of the freshwater perturbation in North Atlantic (NA) has become one of the hot topics in the recent years. 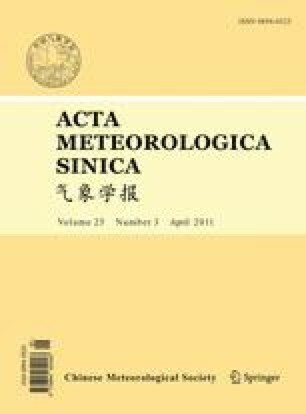 In this study, the mechanism and pathway of meridional ocean heat transport (OHT) under the enhanced freshwater input to the northern high latitudes in the Atlantic are investigated by an ocean-sea ice-atmosphere coupled model. The results show that the anomalous OHT in the freshwater experiment (FW) is dominated by the meridional circulation kinetic and ocean thermal processes. In the FW, OHT drops down during the period of weakened AMOC while the upper tropical ocean turns warmer due to the retained NA warm currents. Conversely, OHT recovers as the AMOC recovers, and the mechanism can be generalized as: 1) increased ocean heat content in the tropical Southern Ocean during the early integration provides the thermal condition for the recovery of OHT in NA; 2) the OHT from the Southern Ocean enters the NA through the equator along the deep Ekman layer; 3) in NA, the recovery of OHT appears mainly along the isopycnic layers of 24.70–25.77 below the mixing layer. It is then transported into the mixing layer from the “outcropping points” in northern high latitudes, and finally released to the atmosphere by the ocean-atmosphere heat exchange. Supported by the National Basic Research Program of China (2009CB421401), Special Public Welfare Research Fund for Meteorological Profession of China Meteorological Administration (GYHY200906018), Risk Assessment on Severe Meteorological and Hydrological Disasters (KZCX2-YW-Q03-3), and National Natural Science Foundation of China (90711004).